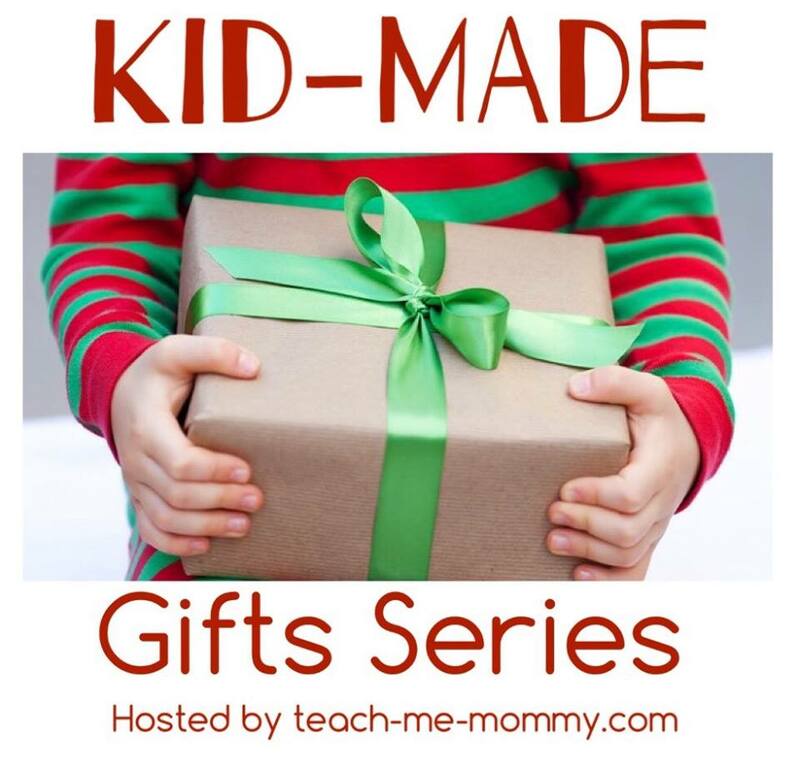 Today I’m taking part in the Kid Made Gift Series organised by teach me mommy. Over the next few weeks 24 awesome bloggers will be sharing fun ideas for gifts your children can make for friends and family. 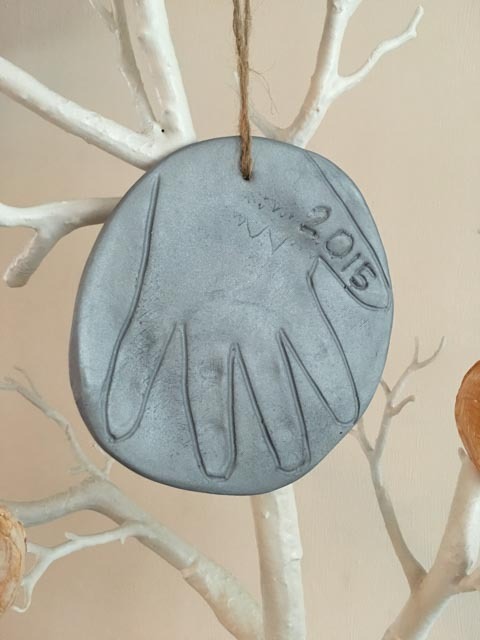 Today is my turn and I’m so happy to share with you our handprint decorations. We love creating art with our hand and foot prints. The children love to see how they are growing and I think you can make wonderful keepsakes using your hand and feet too. 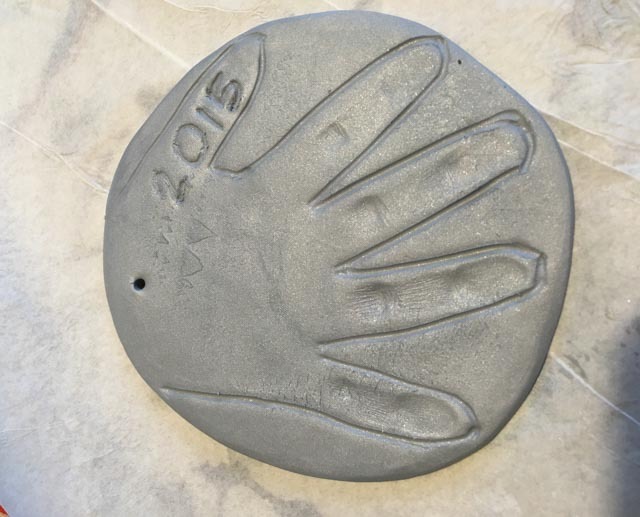 We love to create with FIMO and air drying clay and you can use either material to make these sweet hand print decorations. 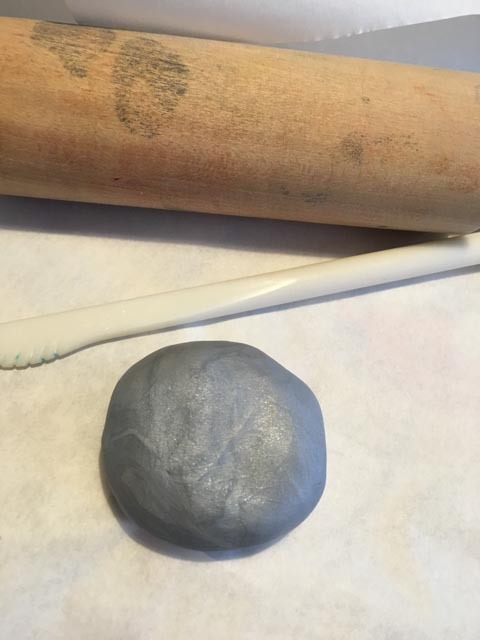 First take the FIMO and let your child roll it between their hands to soften it. 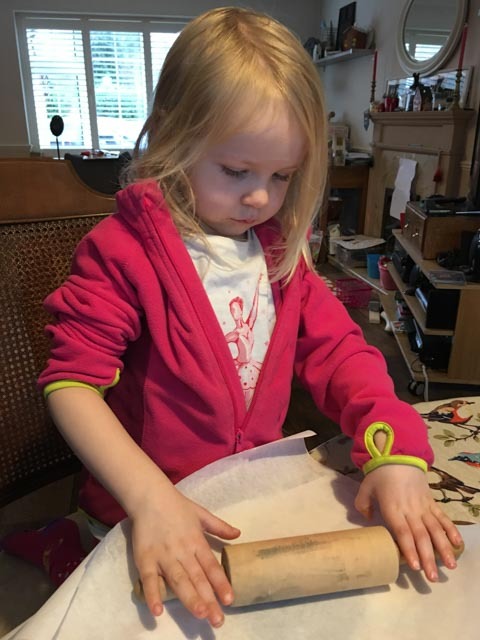 Then place it between two sheets of greaseproof paper and let them use a rolling pin until it is about 3mm thick and round. They can place one hand on the FIMO and help them to draw around their hand, press into the FIMO to make sure you can see each finger. We wanted to hang our decoration on our tree so made a small hole through the bottom to thread a piece of string. 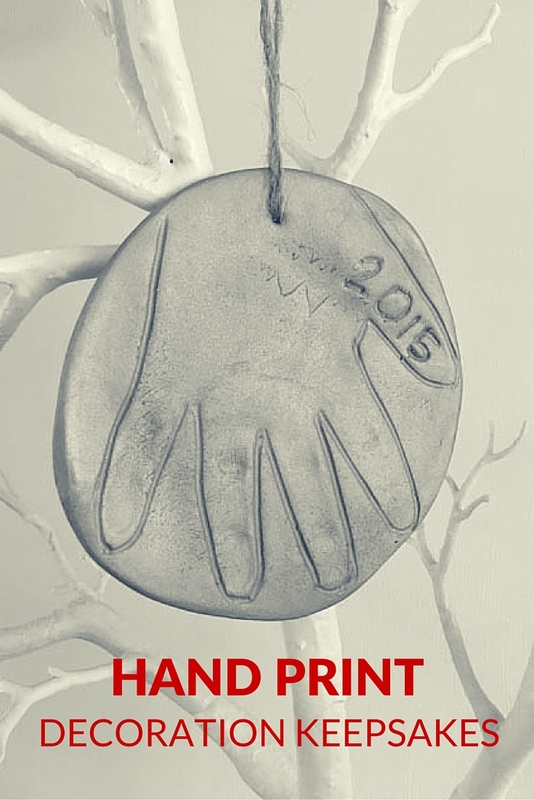 We also added the year as we love to make personalised decorations every year. Your child could add their name or initial too. We placed the hand print (still on the greaseproof paper) onto a baking sheet and baked it in the oven at 130° for 30 minutes. I took it out of the oven and let it cool for 30 minutes. When it was cool I added a piece of string so we could hang it on our seasonal tree, I can’t wait to add it to our Christmas tree when we put it up next month. Don’t forget to see what the other participants have been making, I particularly loved how to make a decorated flower pot gift from Helen. What a special gift! Thanks for participating! That look so easy to make! I dont have kids but I could imagine we would making it. I never knew about using grease proof paper to roll out fimo. Shall certainly be using that tip from now on! Lovely idea for a decoration and gift.